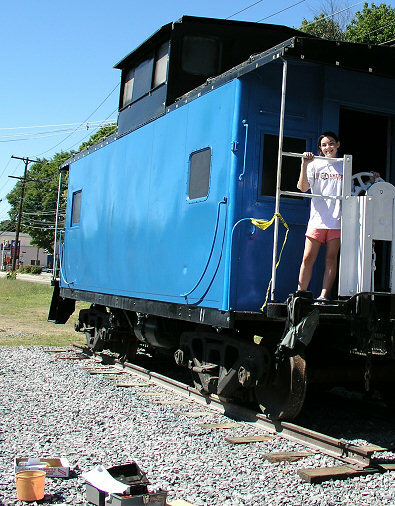 September 10, 2005: The caboose was repainted in authentic B&M RR colors by 5 ARRT volunteers today. This 1921 historic structure was donated by the Edaville Railroad. The rest of the painting will be done on Saturday Sept 17th (9AM-12PM), in time for the 9/24 Grand Opening events. July 10, 2005: The trail isn't even officialy open yet, but its having an effect. 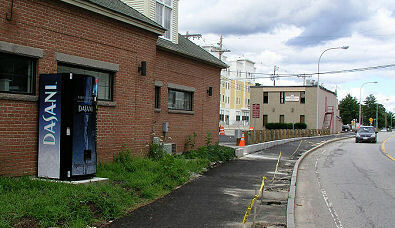 At the rear of 213 Main Street - Hudson, the trail now has its own Dasani Bottled Water machine. We always knew bike trails encourage economic development! 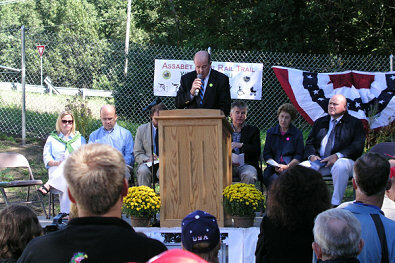 November 22, 2004: ARRT sponsored a trail cleanup of the Hudson section. 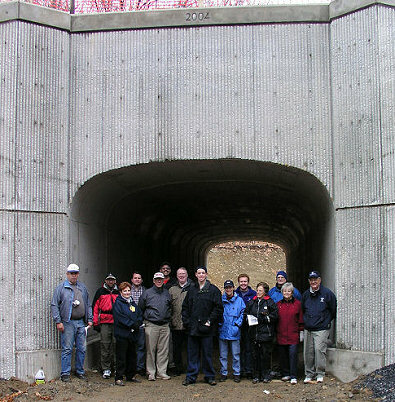 15 volunteers picked up trash and viewed the new trail tunnel under the 290-Connector highway. At 75 feet, it is the longest recreational tunnel in Massachusetts, passes under 4 lanes of highway and even has its own interior lighting! 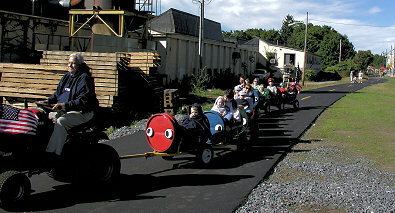 April 17, 2005: ARRT sponsored a trail cleanup of the South Maynard section. 20 volunteers picked up trash on a 1/2 mile of road. Here they are standing in front of the North gate of the Assabet River Wildlife Refuge. The refuge opened to the public that weekend.